Speaker for 2019 event — TEDx Youth Maastricht - Technology. Entertainment. Design. Every year we invite a series of speakers to join our TEDx event, they create a talk to share their ideas surrounding our theme of the year. This year's theme is "Emergence of the Periphery" and we have the pleasure to have amazing speakers joining us! Here is a small taste of their stories to be shared in our talk! Gert Olefs is on a courageous mission for change. As a Founder of World Peace 2035, Gert is advocating world peace around the world, building a multidimensional global network and promoting our individual responsibility. David Dewulf is a world traveling doctor. As a founder of of the Institute for Attention and Mindfulness, he offers training, amongst others to the European Parliament, and gives gives lectures all around Flanders and abroad. David was invited to the Harvard Postgraduate study Mind/Body Medicine and is the author of 15 eminent books about mindfulness. Dr Hedderik Van Rijn is a Professor at the University of Groningen with an expertise in cognitive science, neuroscience, and the perception of time. He has also held other positions such as: Editor-in-chief of Timing & Time Perception, a member of the Steering Committee of the International Conference on Cognitive Modeling, and a part of the Admission Committee Human-Machine Communication Master and Chair Admission Committee Behavioral and Cognitive Neurosciences Research. 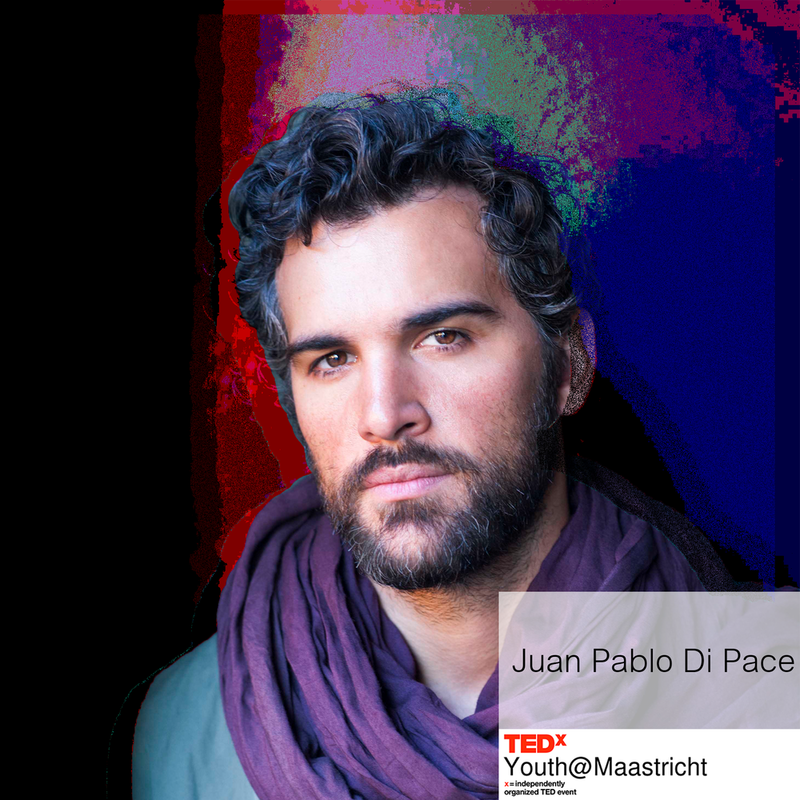 Juan Pablo Di Pace is a highly successful actor, singer and director starring in Mamma Mia, Fuller House, Survival Island, Chicago, Grease, Dancing With the Stars, A.D. The Bible Continues, Dallas, and many more. Juan Pablo is persistent and hardworking, and strives to bring truthfulness and beauty in all he does. Shanti Schiks is a strong and inspirational woman, who has encouraged many going through a hard time after she had her own period of suffering. In the summer of 2016, Shanti’s ex killed their 11-month old son Elfin. Shanti wrote a book about her loss, to give her grief a place, she also gave workshops to help people to process their traumatic experiences or give them the strength to free themselves from a bad situation. She has published her second book last year which combines spirituality together with exercises to find self love based on the insights she found after the loss. Anila Noor is a human rights and refugee activist that has inspired many with her passionate and powerful message of breaking boundaries that limit an individual's potential. In 2015, Anila was forced to move to The Netherlands from Pakistan, now she is part of the European Migrant Advisory Board and the International Institute of Social Studies. Anila is a specialist in Human Rights, Gender, Non-Profits Project Management, Training and Capacity Building and Research. Jakhini Bisselink is the Dutch Youth Ambassador of the United Nations representing all young people in The Netherlands. Jakhini is auspiciously bridging the gap between young people and politics, fighting to let their voices be heard in national and international decision-making. She is currently also studying pedagogic and educational sciences at the University of Amsterdam. Dr Louis Grandjean has led a groundbreaking PhD research project about the control of infectious diseases on behalf of Imperial College London in Peru and is now a paediatric consultant at the Great Ormond Street Hospital. Dr. Louis Gradnejan has definitely been expanding our scientific and medical peripheries.